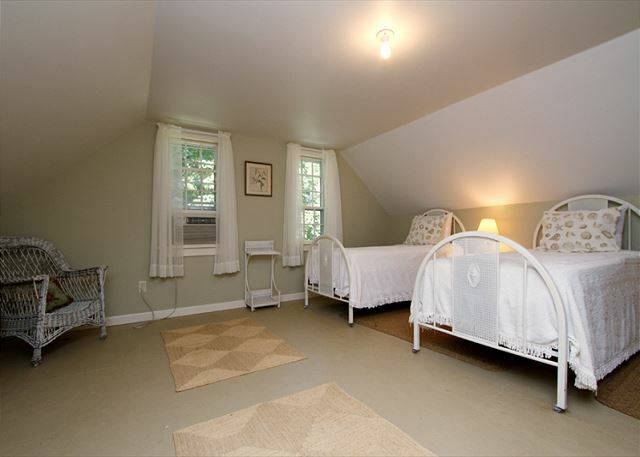 This immaculate newly renovated Cape Cod vacation cottage is located in a desirable area of Orleans just minutes to Skaket Beach and just a five minute drive to downtown Orleans and its popular shops. Situated on 2 acres with beautiful open land, trees and plantings, this cottage offers a cozy oasis for your vacation getaway. The first floor will feature a bright and comfortable living area, full bath, vintage style kitchen to bring you back in time, vintage style dining area, and two comfortable guest rooms. The second floor will offer additional sleeping quarters with two beds. 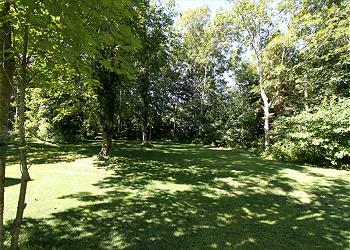 After a wonderful day at the beach enjoy the open grounds for a game of croquet or badminton. $125 Administrative fee, plus applicable state and local taxes .Linen package for 5 available upon request for an additional cost of $173.00. The best 7 days of this summer. Quiet, clean and cozy! 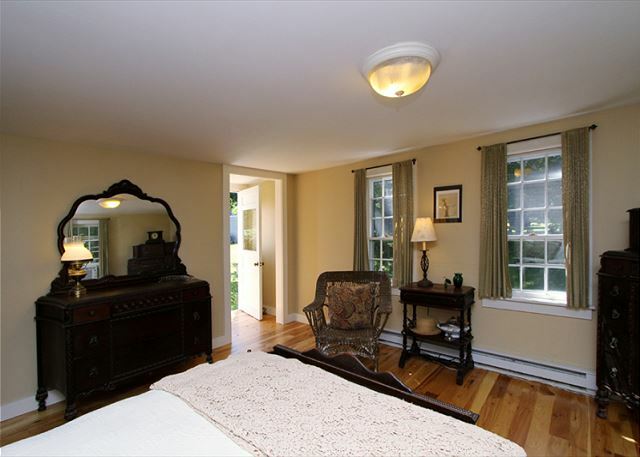 Meticulously maintained house and grounds. 4/10 of a mile from Skaket Beach on the Bay side of the cape. A great beach for the whole family. The is centrally located on the Cape by the Orleans Circle. You are 30 minutes away from everything on the outer Cape. Amazing Seafood, French Bakery and Bistro. Every day is an adventure. Every evening you will have you have a peaceful sleep. I am coming back next year!!! 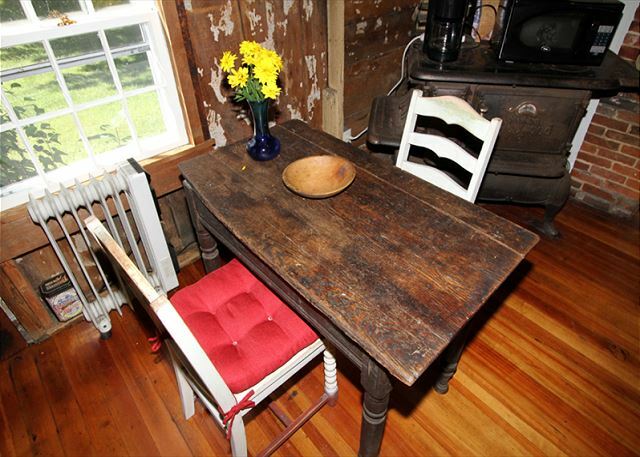 This cottage is located central to just about everything we needed for our family vacation. You can easily ride bikes to the beaches, rail trails and Orleans town. 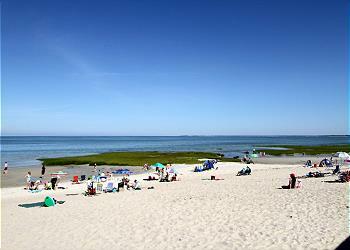 Plus it's just a quick drive to ocean beaches and other of the Cape towns like Brewster, Wellfleet and Chatham. Very large property and super private. We enjoyed playing yard games and the shade for outside lunches and dinners. 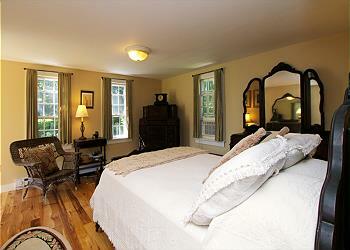 The inside of the cottage is clean, nicely decorated and remodeled. Plenty of space for our family of 4. We didn't even use one of the bedrooms! The AC was great and made a hot week comfortable for sleeping. The laundry was nice to keep our beach towels, etc clean. The outside shower (with hot water) was great. The kitchen is very unique and original to the house. Although it's on the smaller size, we were able to cook all our dinners there as well as with the nice Weber grill. 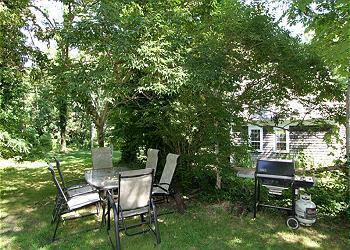 We absolutely loved this cottage and would love to stay here again the next time we vacation at Cape Cod. Perfect rental is you are looking for great cottage type house at a central location, close to beaches, and private large property.